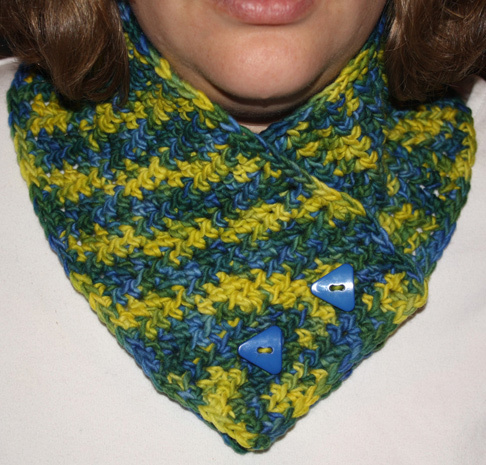 A quick and easy neckwarmer pattern that looks great in solid, semisolid, or variegated yarn. Just enough to keep the neck warm without being tight or having long tails to manage. Buttons allow you to add a little personality! Pattern is free. Download from Ravelry.